Kieran, 31, from Manchester in the UK, has mixed experiences to report. Initially, Litecoin seemed like a much “easier option” when compared with its older brother, but Kieran soon found a few unexpected frustrations starting to appear. Whilst he acknowledged the quicker transaction times as a reality, he claimed that Bitcoin was able to serve his requirements “just as well” and that the boost in speed was little more than a bonus point for Litecoin. There are a lot of people, like Kieran, wedded to the original decentralized digital currency of Bitcoin, who are perhaps a little reluctant to try something new or even a slight variation, but Kieran doesn't include himself in that bracket. "It's good, but it's just not as good as Bitcoin.” By ‘good’, Kieran surely means well known, but if you’re in a foreign land and you show someone a dollar and a few thousand rupees, they’d probably pick the dollar without even checking what the exchange rate was. People feel secure with the name they know. When it comes to online currency, Bitcoin is the Coca Cola of the marketplace, and despite technological advances and increased completion, it’ll probably stay up on its pedestal due to its name and the branding that comes with it. This is particularly problematic for Patience, 24, a young entrepreneur from Nigeria, as Bitcoin accumulations are much harder to build where he is based. It seems the decentralized nature of the cryptocurrency isn’t yet capable of transcending all the boundaries we’d like it to. 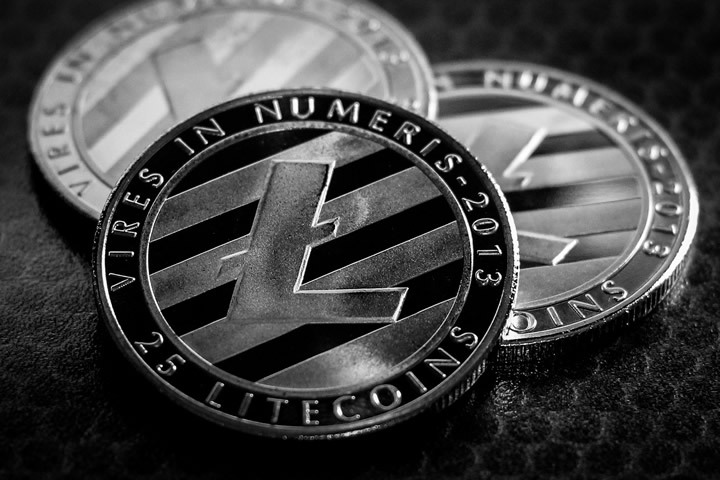 Electroneum is the currency that Patience uses most frequently, though on his journey to find the most suitable option for him, he did experiment with Litecoin with mixed results. “It was like a downgraded version of Bitcoin" was the standout phrase from his feedback, and in many ways, that ring true. After all, Charlie Lee, who developed Litecoin wanted it to be seen as the silver to Bitcoin’s gold. There were some useful features like the decreased transaction fees, however, unfortunately for Patience though, if Bitcoin wasn’t cutting it, Litecoin didn’t stand much of a chance from the outset. “There weren’t enough viable traders to make transactions worthwhile,” is perhaps Patience’s biggest complaint, but maybe that comes down to where you are in the world, even though the very nature of the decentralized currency means that this should be an irrelevance. For Sanjay, 39, a businessman living in New York, Litecoin was the slick, quick version of Bitcoin he'd been waiting for. "It was like a slimline version of Bitcoin, when we first started trading, less lag and more fluid.” High praise indeed from Sanjay for Litecoin, but did it replace Bitcoin entirely for him and those that he trades with? “Absolutely not.” It seems that whether you love Litecoin or hate Litecoin, its unlikely that it will replace Bitcoin entirely. It's much more likely that users will trade both currencies, maybe even as two currencies in a field of a host of other currencies. There is plenty to explore. It's a question that traders must answer for themselves and it comes down to strategy. Do you put all your eggs in one basket and hope that you've pinned the right colors to the mast? Or do you cast your net wide and keep your options open? For Kieran, Patience, and Sanjay, Litecoin was an experiment that they're still trying to figure out. Interestingly though is the demographic they represent. Far-reaching and diverse, but still all favoring the currency they know best, Bitcoin.